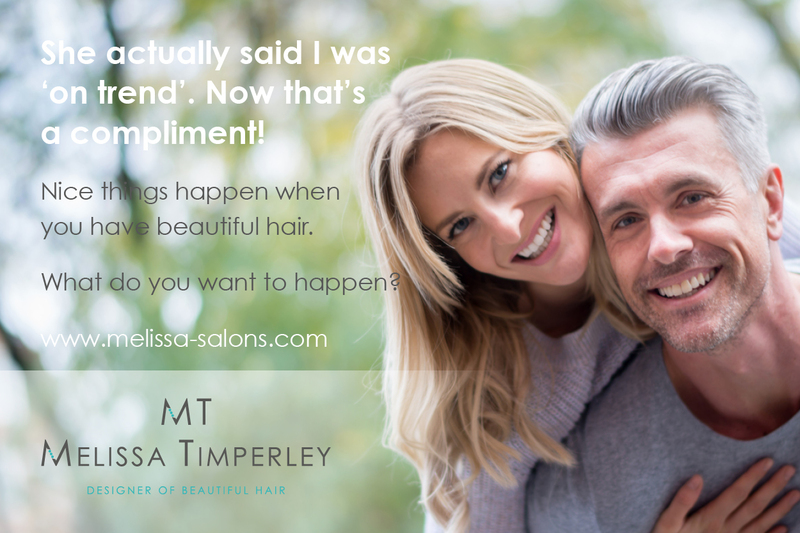 The Melissa Salons’ team is really delighted with our new series of ads. The ads are currently running on the Instagram and Facebook social media networks which focus on Melissa Salons Client Feedback. Our inspiration was from the lovely Melissa Salon’s client feedback. 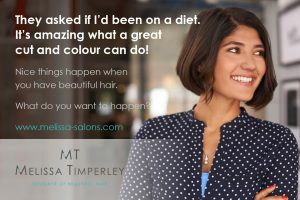 The ads mention the positive effect a Melissa Salons’ Hair Style has had on them. 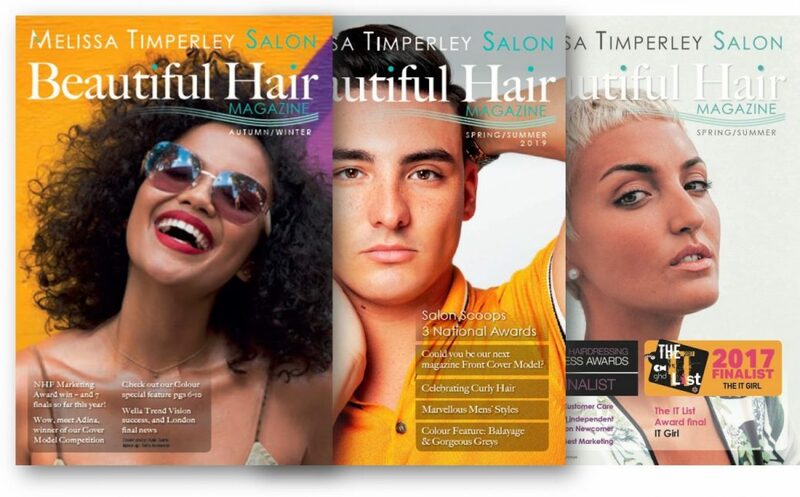 It led us to create the campaign around how ‘nice things happen when you have beautiful hair’. The campaign’s message Nice things happen when you have beautiful hair – what do you want to happen? 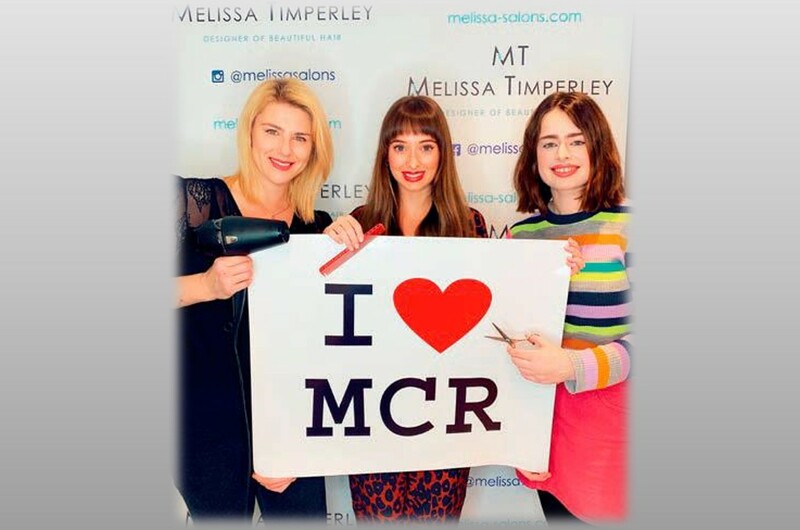 has prompted quite a discussion in the Manchester Salon, with other clients telling us about their own nice experiences and the comments of partners, friends and colleagues. Why not book in for a consultation? 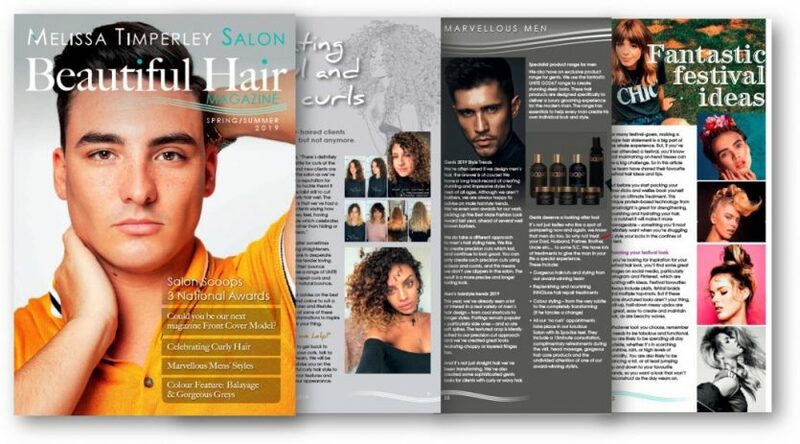 You can see the ads across social media and in the Manchester Salon. 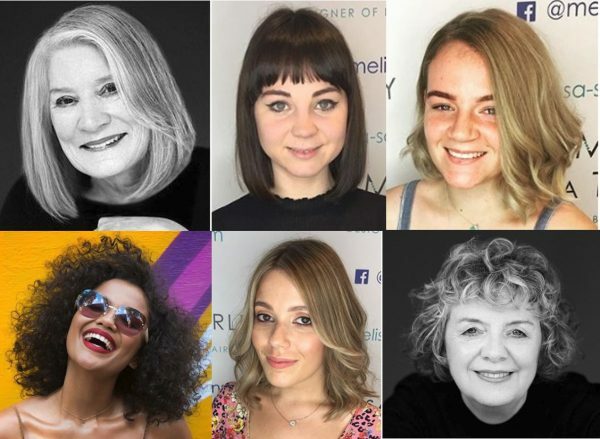 And, if you are looking for something nice to happen to you as a result of having beautiful hair, why not contact the team for a consultation.